Fans of the physical keyboard, rejoice: the BlackBerry Key2 has launched in the UK with a recommended retail price of £579. 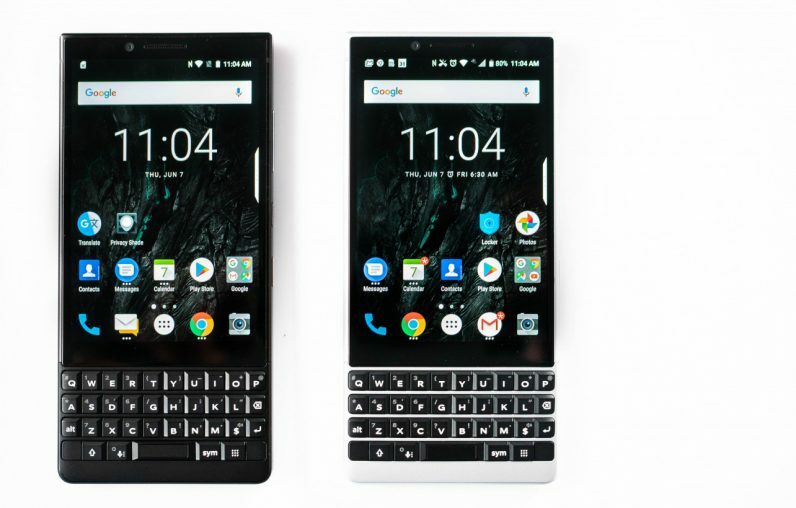 Those who like their phones with a side of button-mashing can grab the latest BlackBerry-branded handset at the Manchester, Birmingham, and London Oxford Road branches of luxury department store Selfridges. Mere plebs will have to wait until June 29 before it’s available at the ubiquitous phone retailer, the Carphone Warehouse, and online. Punters will be also able to grab one carrier-unlocked via several specialist sites, only one of which I’ve actually heard of before. These are Unlocked Mobiles, BuyItDirect, Mobile Phones Direct, and Clove Technologies. I wouldn’t be surprised if the Key2 eventually makes its way to Amazon in the coming weeks too, as was the case with its older brother, the KeyOne. But what if you want to get one through your network? Well, BlackBerry licensor TCL says it’ll be available through Vodafone later in July. It hasn’t mentioned any other networks, so if you’re with 3, EE, or O2, you’ll probably have to pay upfront and get a SIM-only contract. TNW got its hands on the Key2 last week, and we like what we’ve seen so far. It’s arguably the best BlackBerry smartphone to date. We’re especialy enamored with the vastly-improved keyboard, the camera, and the addition of the time-saving speed key. If you want to see our final verdict, check back for our full review of the BlackBerry Key2 later today.